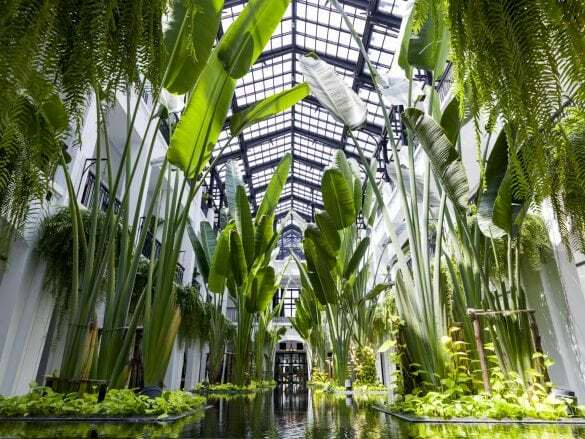 Bangkok is vibrant, high-energy city with a lot going on, and The Siam is your oasis from it all. Tucked away from the throngs of tourists, you can experience the slower side of the city where the journey is just as important as the destination. The setting and the style. There are many hotel options in Bangkok, but The Siam is the only riverside luxury resort in the Royal Dusit District. Designed by renowned architect Bill Bensley, the hotel seamlessly merges Art Deco-style with one-of-a-kind Thai antiques. Each of the spacious suites and villas (there are only 39!) is decorated with original artwork and other interesting local accents. Taking time to enjoy the on-property activities. 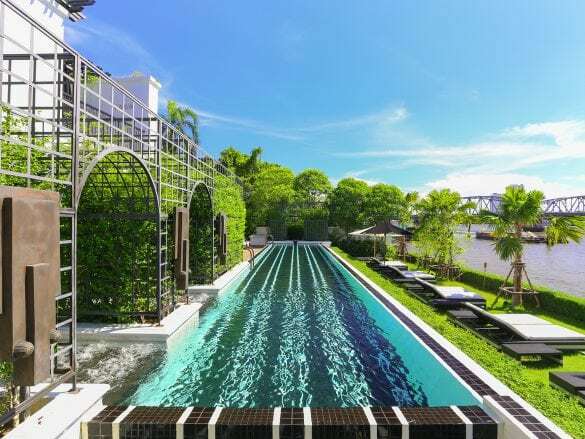 From the award-winning spa to the Muay Thai boxing sessions to relaxing pool, The Siam offers so many experiences without ever leaving the hotel. The Chon Thai Restaurant serves some of the best traditional Thai cuisine you will find – and you can learn how to make it yourself in the cooking school! 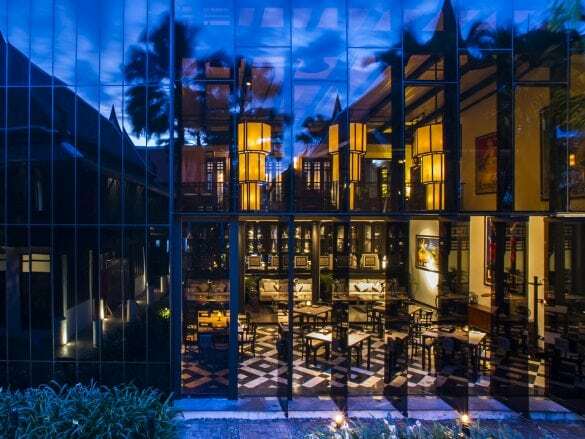 You can also savor international flavors and a nightcap at Deco Bar & Bistro. And to conquer jetlag, head to Café Cha for a coffee or tea or lounge around by the pool at Bathers Bar. 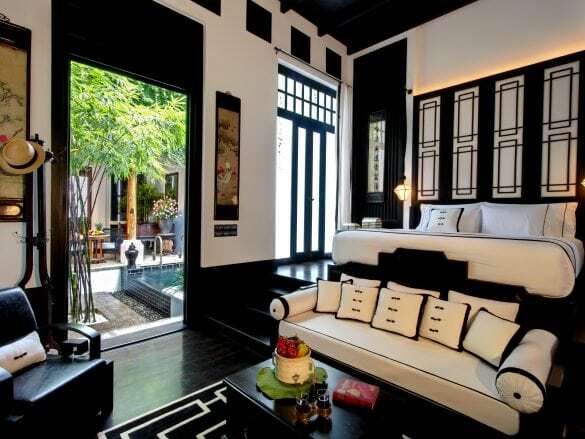 The Siam is located in the heart of the quiet Royal Dusit district. 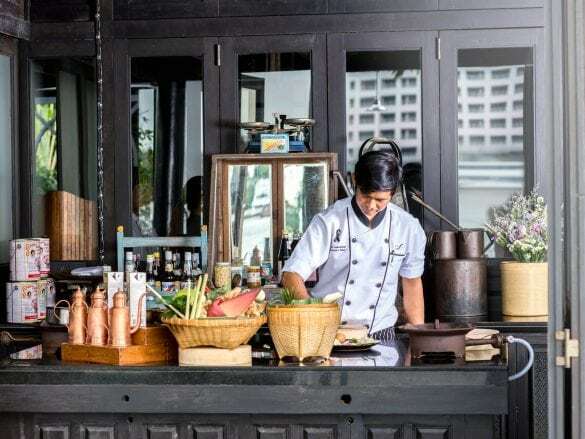 You can access many of Thailand’s finest restaurants, markets, art galleries, shops, temples, museums, and palaces by foot, Siam Boat, or a short tuk-tuk ride. Fly into Suvarnabhumi International Airport (BKK) and The Siam is about 45 minutes away by car. Not sure what to do? Ask your helpful and knowledgeable personal butler for recommendations on local shops and restaurants. 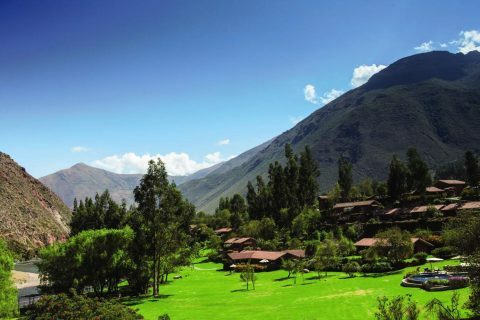 You'll be sure to find a hidden local gem with the hotel's insider expertise!